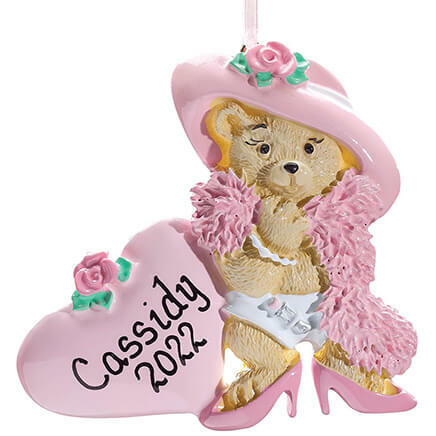 Wanted a personalized ornament and you had good selections to choose from. Personalized for my new grand daughter! My grandson will have a first Christmas remembrance from me. Bcuz it's cute and I can get my grandson's first 2 names on it. My great great nephew was born this year. I bought this item for my grandson. I thought it was precious. My grandson's1st Chrustmas is special to me. 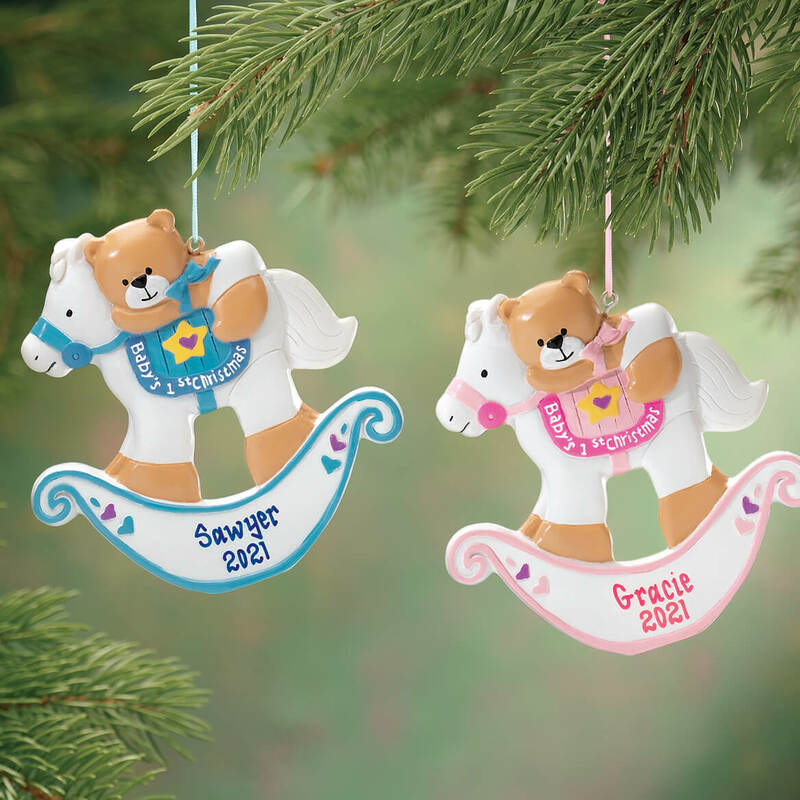 Your ornaments are timeless and meaningful! 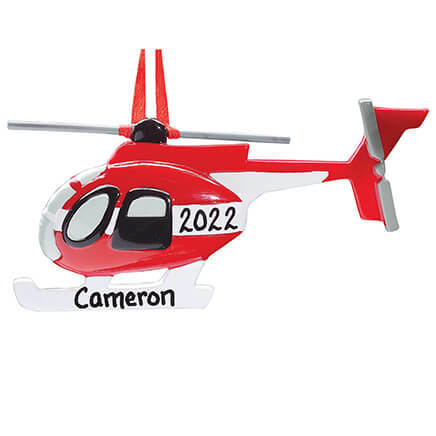 I have purchased many personalized ornaments and they are even nicer than pictured, everyone comments how nice they are!!! My little girls first Christmas, my other daughter had the same one in pink. 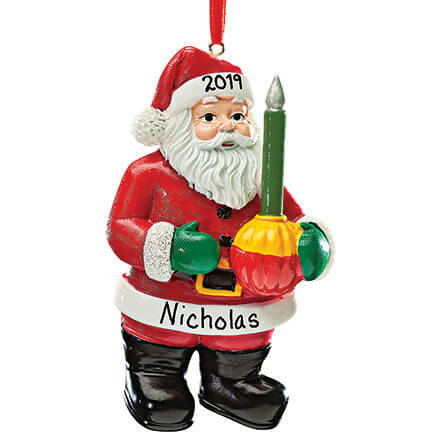 I became a Great Grandma and thought it would be a ornament with his name on it for many years. Each year I give an ornament so when the kids grow up, they'll have their own set of ornaments from childhood. This is the first one for this child. 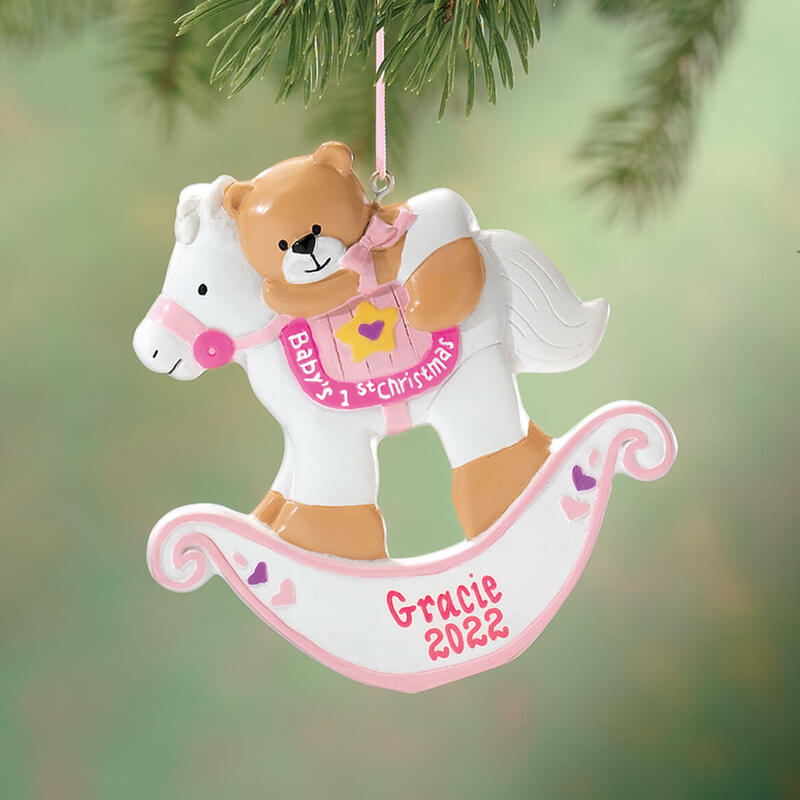 I buy an ornament for my grandchildren every year for Christmas. I got a new granddaughter this year so its her first Christmas. 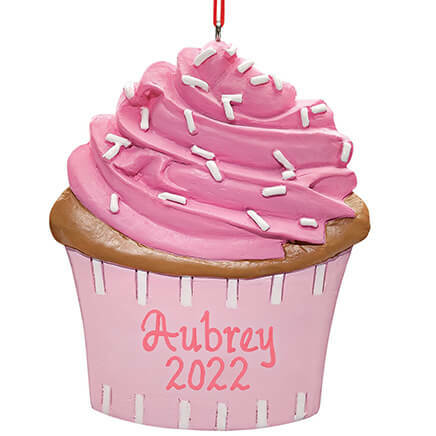 I have purchased "baby's first Christmas" ornaments for all my great grandchildren - this is #9! 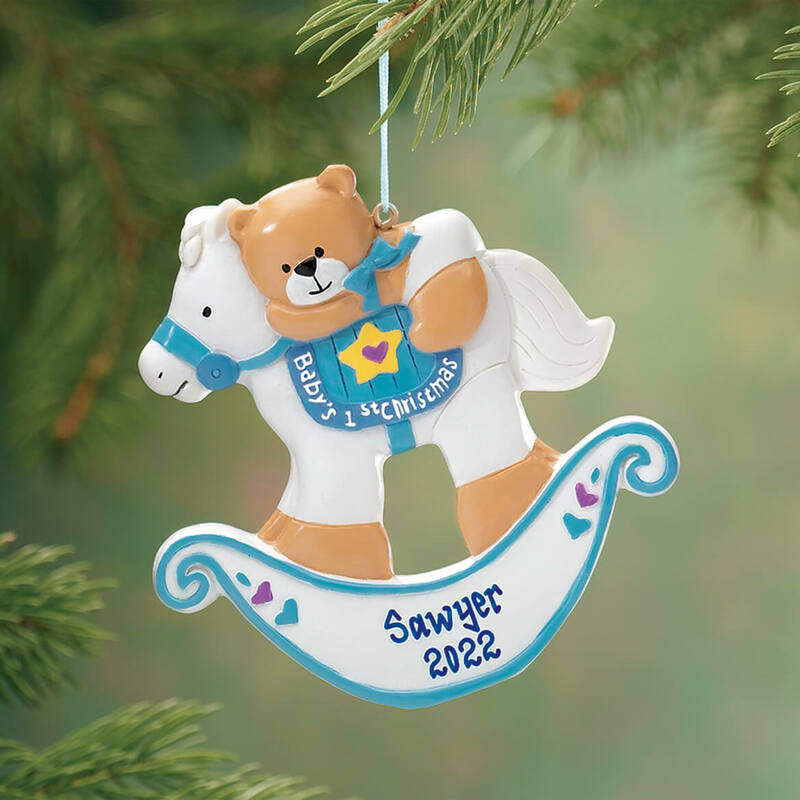 I always buy ornaments for my new grandchildren and I have a new grandson this Christmas. 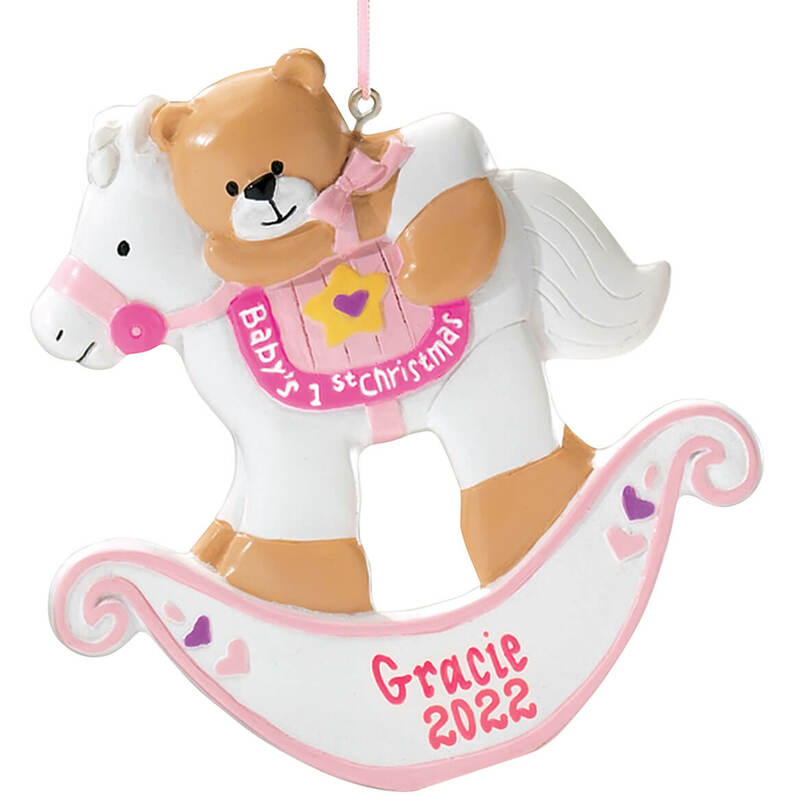 Love personalized ornaments because they will become great keepsakes. I love Miles Kimball personalized ornaments! I WANTED A FIBER OPTIC TREE AND SAW THIS ONE AND HAD TO GET IT. IT'S GOOD THAT IT PLAYS MUSIC.